things that shine: I'm hip and square! 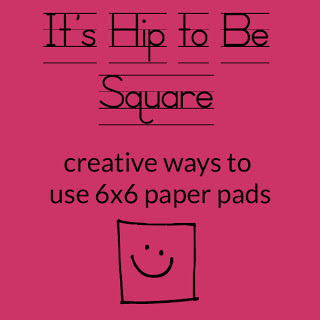 Today I have a layout featuring 6x6 paper pad use up on Lisa Swift's blog, in her creative use series. Head over to check it out! And take a look at the other ideas in the series -- there are some talented people with creative ideas out there! You can also check out other work I've done with 6x6 pads right here on my blog. Went to see your page - great idea to use lots of brads! I came from the 2Ps thread and added you to my reader :).